New Harry Potter console games also on the way. Warner Bros. Interactive Entertainment has announced the establishment of Portkey Games, a new label inspired by J.K. Rowling’s Wizarding World, which includes the likes of Harry Potter and Fantastic Beasts. 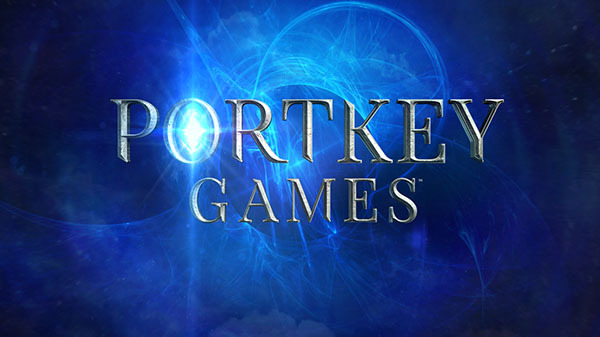 Portkey Games will release both mobile and console games that transport players into the Wizarding World, and feature both and familiar characters “at different points in their lives” from the Harry Potter series. Players will also be able to visit new locations and explore new story elements. Harry Potter: Wizards Unite will reveal that magic is all around us, and allow players to be a part of Harry Potter‘s rich world, through Niantic’s AR + real-world mobile game platform and the franchise expertise of WB Games San Francisco’s development and publishing team. By exploring real-world neighborhoods and cities across the globe, players will go on adventures, learn and cast spells, discover mysterious artifacts, and encounter legendary beasts and iconic characters. More information on Harry Potter: Wizards Unite will be announced in 2018. As for further Portkey Games developments, the official announcement teases, “Alas, this is all we can say for now. But we’ll be updating you on more Portkey developments very soon. Really soon, actually…” It should be noted, however, that the announcement of Portkey Games was made prior to the announcement of Harry Potter: Wizards Unite, so this tease may simply be referring to that. Industry, Smartphone, Game Announce, Harry Potter: Wizards Unite, Niantic Labs, Porkey Games, Warner Bros.